The Applied Vehicle Technology Panel (AVT) is an ­international network of defence scientists and engin­eers dedicated to increasing the performance of new and ageing vehicles in the air, sea, land, and space ­domains. This network consists of about 700 experts from all fields of vehicle design, including power and propulsion, mechanical structures and material, as well as flow physics. AVT is one of the seven panels of the Collaborative Support Office pertaining to the NATO Science and Technology Organization (STO).1 Additionally, the STO is comprised of a dedicated research centre known as the Centre of Maritime Research and Experimentation (CMRE) as well as the Office of the Chief Scientist (OCS). Unmanned vehicles for all domains (UxV) and aspects of vehicle autonomy are an important topic in AVT’s technical portfolio. This article is based on activities performed in AVT and on contributions to a NATO ­Science and Technology symposium on ‘Autonomous Systems’ in fall 2014.3 The article focuses on aerial and space vehicles, while many issues and statements may also apply to land or maritime systems. In the last decades, military operations have changed, to a major extent, from ‘traditional’ warfare and homeland defence to asymmetric warfare abroad. Often, bel­ligerents are not regular armies but groups or organ­izations following political, ethnic or religious goals and acting sometimes as guerrillas or terrorists. Asym­metric warfare in large and often undeveloped areas as well as in urban environments implies a big risk for loss of soldiers and uninvolved civilians, a risk that is getting less and less acceptable to ‘Blue Nations’ ­citizens. Therefore, asymmetric military operations could be supported by unmanned systems to safely enable the application of advanced technology for ISTAR (Intelligence, Surveillance, Target Acquisition and Reconnaissance), transportation, protection and precision strikes on enemy positions / objects. These unmanned vehicles could be used not only for dangerous but also for dull and dirty tasks. Moreover, removal of the human from the vehicle removes a vast number of issues from system design and allows for smaller, lighter and more agile craft. Autonomy from an unmanned system point of view describes the capability of a platform to accomplish a pre-defined mission with or without further human interaction and / or super­vision. The degree of autonomy of the unmanned system depends on the vehicles’ own abilities of sensing, analyzing, communicating, planning, decision-making, and acting (altogether forming the intelligence of the system), ranging from semi-autonomy to full-auton­omy and autonomous collaboration. The mission of a UxV and its complexity determines the required degree of autonomy of the system, and vice-versa, the technologically feasible level of auton­omy may limit the operational deployment and consequently, the mission parameters. An illustration is given by the ALFUS2 (Autonomy Levels for Unmanned Systems) Model as shown in Figure 1. In this three-axis model, the autonomy level is determined by the complexity of the mission that a UxV is able to perform, the ­degrees of difficulty of the environment within which the UxV is to perform the mission, and the level of operator interaction that is required to perform the mission. A major challenge for unmanned system auton­omy is the limitation of risk during operation. For example: in the air domain, risk is inherent with operation in civil airspace, reliable and precise target identification, decision-making for lethal actions and collateral damage. national regulations inducing legal and liability issues. Related technical challenges also apply to civil developments such as driverless cars and aerial drones (e.g. for delivery of goods). Technical progress from the civil side will support and complement related military development. Ethical concerns exist in many countries using both UxV and autonomous UxV. These concerns are based on the false public perception that autonomy is a syno­nym for decision-making or lethal action by an unmanned vehicle. Quite contrary to this misconception, the US National Institute of Standards and Technology (NIST) defines a fully autonomous system as being cap­able of accomplishing its assigned mission, within a de­fined scope, without human intervention while adapt­ing to operational and environmental conditions. Furthermore, it defines a semi-autonomous system as being capable of performing autonomous operations with various levels of human interaction.4 This issue can­not be solved by technical means but must be based on political and public discussion and consensus. This significant topic is beyond the scope of this article and, therefore, will not be further treated here. or terrain mapping for guidance or when they follow and intercept a target after lock-on of the onboard seeker (e.g. air-to-air missiles). Even when those systems act fully or partly without human interaction, this feature is automation rather than autonomy. Identification / localization of the target and the de­cision to destroy the target are made by humans ­prior to the use of the weapon. Figure 2 shows cat­egories of unmanned aerial vehicles over typical Mach numbers and altitudes of operation. Mini-UAV, small / tactical UAV, Medium and High Altitude Long Endurance UAV (MALE and HALE) are state-of-the-art and systems are operational and deployed within NATO. Micro UAV, Unmanned Combat Aerial Vehicles (UCAV) and hypersonic strike vehicles (i.e. a hypersonic cruise missile) are in a state of technology demonstration with a Technical Readiness Level (TRL)5 typically lower than seven (TRL seven means prototype demonstration in operational environment). Operational UAVs are mainly used for ISR. To a limited extent, MALE UAVs can be equipped with missiles or bombs just like a conventional piloted military aircraft. These UAV have a high degree of automation following a course which is pre-determined or commanded / altered by an operator in the Ground Control Station (GCS), again using inertial navigation and GPS. For MALE and HALE, the GCS is typically connected via a satellite link and located far outside ­enemy territory. Tactical UAV are typically launched by catapults or rocket boosters and return to their launch site to land remotely piloted or by parachute. MALE and HALE take off and land like a conventional aircraft and need a similar runway. They are mostly capable of automatic take-off and landing, but are typically monitored by an on-site operator. These UAV can be called semi-autonomous, when they operate on commands (e.g. course / course corrections, direction of sensors, designation of objects, destruction of targets etc.) instead of being remotely controlled, but ‘intelligence’ and decision-making is still the role of the human operator. In particular, MALE and HALE systems may be required to operate in a non-segregated airspace at least for a part of their mission. This induces the need for autonomous actions to avoid mid-air collisions and to ensure an appropriate self-separation from other airspace users. This issue relates to safety and reliability, to verification and validation, as well as ­certification, and it may be a show stopper for acquisition, as recently experienced with the German ­EUROHAWK project. Figure 2 also shows two qualitative examples for autonomy in the ­ALFUS model. The MALE mission is complex in all aspects named in the model. The environment may be complex in terms of terrain (mountain regions) or climate, but especially in terms of threat, because the vehicle speed is quite slow (around Mach 0.3) and it operates at altitudes ­accessible to many Air Defence systems. Accordingly, the degree of autonomy is on the lower side. The hypersonic strike mission would be less complex and quite similar to cruise missiles today. Flight control will be more complex due to hypersonic aero­dynamics and propulsion control. The hypersonic flight environ­ment is, of course, very demanding, but threats by Air De­fence should be lower. Expected auton­omy will be on the higher side, covered by a smart autopilot system. Propulsive maneuvers to stay in the desired orbit, that are pre-programmed and then executed autonomously. Again, this is more about automation than autonomy in the sense of ‘intelligence’. Today, there is a man-machine interaction, wherein the human retains the main parts of command and control. The UxV performs the commanded actions based on automated routines and sends a stream of information back, which is processed at the GCS and supports the derivation of command updates. The next step will be a system wherein human and machine work together as a team. They act together to achieve an objective, of course, still determined by the human part. They share information and the UxV will act more independently while the human retains direction but does less monitoring and control. Technology is gradually shifting in this direction. A second large step into the future would be a ­system-of-systems approach, wherein humans and UxV work together as a group performing a joint task. Direction will still remain with the human, but the role will be similar to a commander of a unit. The UxV will act with a high degree of autonomy combined with highly complex communication. As an example, this could be a group of UCAV fighting ­together with some conventionally piloted aircraft and supported by ground, air, or space-based ISR assets. The operational future includes autonomous collaboration amongst different systems sharing ­required information for mutual situational awareness. This stage implies a large number of issues, which are not all of a technical nature and will not be achieved in the near future. The understanding of the potential of autonomous collaboration is still in its infancy. Communication (speed, multi party, electronic counter­measures, etc.). Technically, this means a demand for highly enhanced on-board sensing and processing capabilities and potentially for larger data link bandwidth to cope with multi party communication. Vehicle ­design will have to accommodate more and larger / heavier components and a significantly increased power demand. This will necessarily lead to larger and heavier ve­hicles, where limitations exist for space and airborne vehicles. Also, the requirements for safety, reliability and low vulnerability will likely increase for more auton­omously acting and more complex and costly UxV. This will aggravate the issues with verification and validation as well as certification. A tradeoff will have to be made between benefits from increased vehicle autonomy and competing design, cost and certification implications. Mutual understanding of behaviour (human and machine). Inducing problems with modelling / simulation and pre­dictability of such scenarios being totally unresolved today. Fully autonomous systems, completely independent from human directions, are unlikely to be realized in the foreseeable future. A paradigm shift in operational philosophy and risk acceptance. Figure 4 illustrates how key autonomy issues impact plat­form / vehicle requirements and design as outline above. The technical fields ‘Propulsion and Power Systems’, ‘Mech­anical Systems, Structures and Materials’ and ‘Performance, Stability and Control, Fluid Physics’ represent the portfolio of the three technical committees of the AVT Panel. Related technical issues of vehicle autonomy (as shown in Fig. 4) are addressed in these technical committees, while other autonomy issues may fall into the portfolio of other panels of the NATO S&T Organization1. Recent and current AVT activities in the field of UxV are listed in Table 1. Unmanned platforms will become increasingly more important for all types of operations. Tactical UAV as well as MALE and HALE systems are operational for intelligence, surveillance and reconnaissance purposes. The larger aerial systems can be weaponized and destroy identified targets. These UxV feature a high degree of automation which enables a semi-autonomous operation, while ‘intelligence’ and de­cision-making is retained by the human operator. The same is true for space based systems. Many issues discussed in this article also apply to land or maritime unmanned systems. When operation of automated / autonomous UxV inter­feres with civil airspace (or shipping traffic), major issues arise with safety and reliability, verification and validation as well as certification. Artificial Intelligence has to be transferred to the unmanned platform to increase the autonomous capabil­ities. Platform survivability is a key military capability especially for complex missions where a higher degree of autonomy is required for smart decision-making to avoid potential threats. Additional equipment for sensing, data processing, communications and power generation / power storage is needed for this purpose, with the drawback of increasing the size and mass and complexity of the unmanned platform. Moreover, the stability and control characteristics of the platform need to be precisely predicted to provide the required data for autonomous operations. Looking in the direction of humans as part of a system-of-systems approach, operational complexity as well as predictability of such scenarios and the safety and reliability issue will pose limitations unlikely to be overcome in the near future. Various aspects of unmanned platform autonomy have been covered by activities of the AVT Panel of the NATO S&T organization. Key issues are currently addressed such as UxV certification, stability & control prediction methods as well as the assessment of system mission performance as a function of platform autonomy, which will allow a trade-off between effectiveness of operation and inherent technical and commercial investment and risk. 1. The STO is governed by the NATO Science & Technology Board (STB), which is chaired by the NATO Chief Scientist. For further details, please consult the STO website at http://www.sto.nato.int. 2. Hui-Min Huang, Kerry Pavek, Brian Novak, James Albus, and Elena Messina, ‘A Framework For Autonomy Levels For Unmanned Systems (ALFUS)’, Proceedings of the AUVSI’s Unmanned Systems North America 2005, Jun. 2005, Baltimore, Maryland. 3. NATO S&T Symposium, STB-ES ‘Autonomous Systems’, Bratislava (SLK), 19 Sep., 2014. 4. National Institute of Standards and Technology, US Department of Commerce (http://www.nist.gov/el/isd/ks/upload/NISTSP_1011-I-2-0.pdf). 5. Cf. Technology Readiness Assessment (TRA) Guidance, United States Department of Defense, Apr. 2011.
a sub­sidiary of MBDA Missile Systems for 18 years. He is still working as senior consultant to the company. 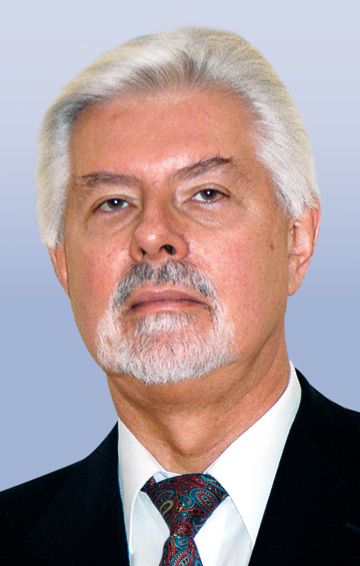 Hans L. Besser has worked in different divisions of predecessor companies of EADS (today Airbus) and has more than 35 years of ex­peri­ence in the development of tactical missile propulsion and inherent missile system issues. He was engaged in various technology demonstrators (hypervelocity) and missile systems like ALARM, VT1, and especially the development of the ramjet propulsion for the European Air Dominance Missile Meteor. Hans L. Besser has a Dipl. Ing. degree for technical physics from the Technical University Munich (Germany).Hans L. Besser is Panel Member of AVT since 1998 and chairs the Strategic Committee of the Panel since 2011. He received two Panel Excellence Awards for his service. started his career at the German Aerospace Center (DLR) in 2000 as Research Scientist. In 2005 he became Deputy Department Head and Head of a Research Group at DLR in Göttingen, Germany. After having worked from 2005 to 2007 in this position he then joined the Science and Technology Organization (STO) of NATO in Neuilly-sur-Seine, France, as Executive Officer. 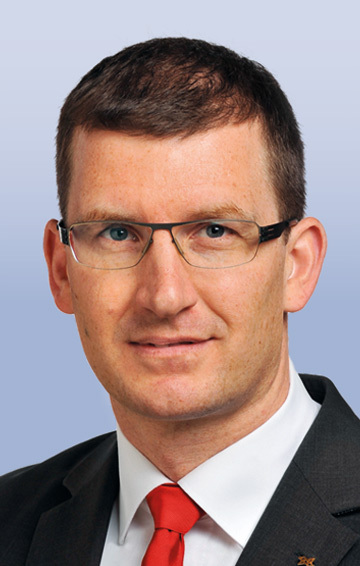 In 2010, Dr. Göge has been appointed Executive Board Representative and Program Coordinator Defence and Security Research at DLR in Cologne, Germany. Actually, Dr. Göge is representing DLR in various national and international supervisory bodies, advisory councils and committees. He is Member of the Science and Technology Board (STB) and Chairman of the AVT Panel of NATO’s Science and Technology Organization (STO). In addition, he is an advisor to the Federal Ministry of Defence and to the Federal Ministry for Economic Affairs and Energy, Germany. started his career with Rockwell International as a Propulsion engineer in 1985 for the B-1 Bomber flight test program. In 1987, he joined the United States Air Force Rocket Propulsion Laboratory as a liquid rocket engineer. From 1993 – 94, Mr Huggins served as the Deputy Director of the Phillips Laboratory Propulsion Engineering Division overseeing a 110-person organization executing $80M for space access, missile defense propulsion and the beginning of the technology research for USAF ICBM strategic sustainment initiative. From 1997 – 99, Mr Huggins directed Space Technology planning for the Air Force Research laboratory; spearheading the development of technology roadmaps for AF micro and nano-satellites. 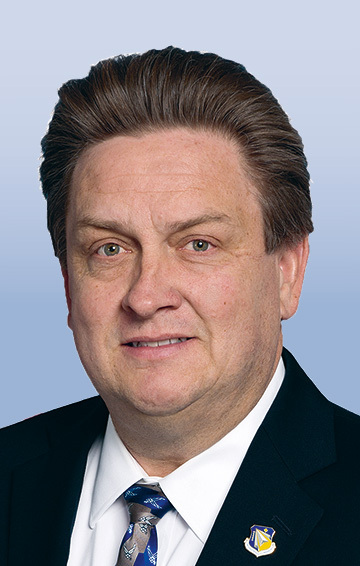 From 2000–present, Mr Huggins has directed planning and execution for $120M annually in exploratory research and development programs in S&T areas related to advanced missile, rocket, and spacecraft propulsion. He is the Vice Chairman and past Chairman of the AVT Panel of NATO’s Science and Technology Organization (STO). joined the German Air Force in 2004 and graduated from the German Air Force Officer School in 2005. He holds an advanced academic degree in Aerospace Engineering from the German Armed Forces University Munich. Following the completion of his professional training as an Ammunition Specialist, Dipl.-Ing. Zimper worked as Head of Unit being responsible for the main­tenance of air-to-air and air-to-ground missile systems as well as all pyrotechnic ammunitions for German aircrafts. Additionally he managed the process implementation of SAP in a German ammunition depot. Dipl.-Ing. Zimper was honored with the honor cross of the German Armed Forces for his service. Besides his officers’ service he worked as Research Scientist in defence-related projects of the German Aerospace Center (DLR). Dipl.-Ing. Zimper currently works as Executive Officer at the NATO Science and Technology Organization (STO) being in charge of the Applied Vehicle Technology Panel (AVT).